The ARM Mali-G71 MP2 is an integrated entry-level graphics adapter for ARM SoCs, which was used in combination with the smartphone and tablet chip Mediatek Helio P23 with 700 or 770 MHz clock speed. Supports OpenGL ES 3.2, Vulkan 1.0, OpenCL 2.0, DirectX 11 FL11_1 and RenderScript. The ARM Mali-G71 MP8 is an integrated high-end graphics adapter for ARM SoCs, which was used in combination with the smartphone and tablet chip HiSilicon Kirin 960 in November 2016 for the first time. Based on initial benchmarks, the GPU performance is slightly better compared to the Adreno 530 in the Qualcomm Snapdragon 821. 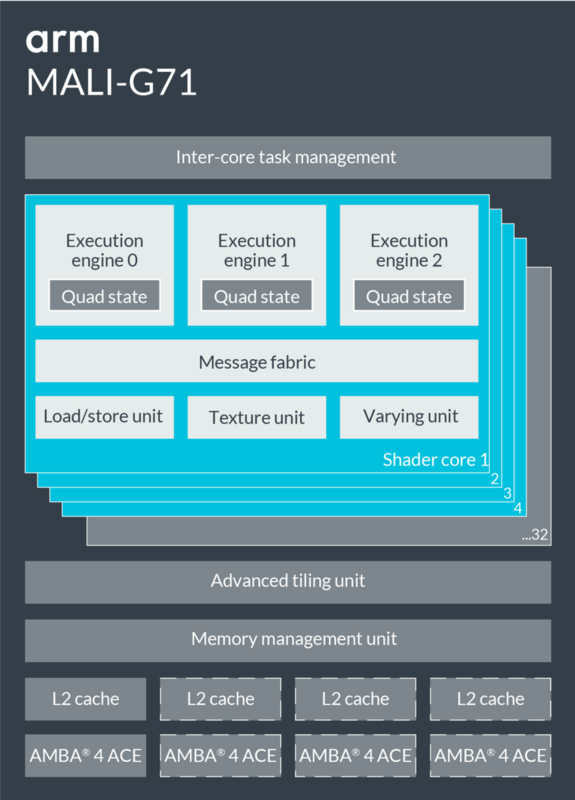 It is therefore one of the most powerful graphics units for (Android) devices in the end of 2016.